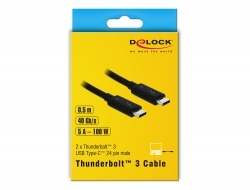 This Thunderbolt™ 3 cable by Delock is universally applicable and combines all the advantages of the Thunderbolt™ 3 interface. 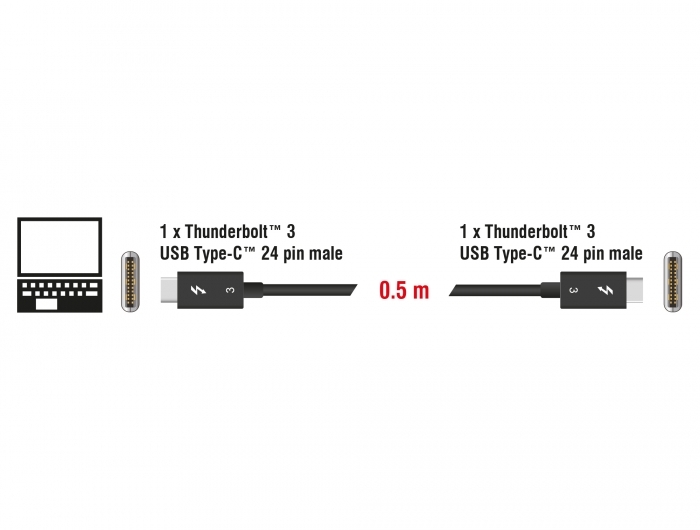 It allows the connection of different devices such as external enclosures, monitors, card readers and docking stations via a Thunderbolt™ 3 port of a PC or laptop. The cable provides data transfer rates of up to 40 Gb/s and supports USB, DisplayPort, PCI Express as well as Ethernet data transfer. 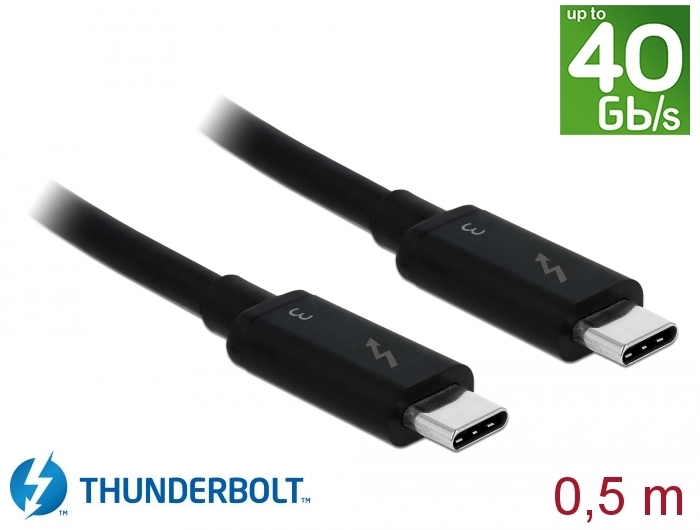 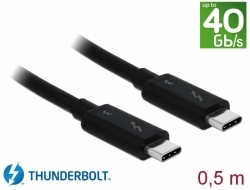 The connection of one 5K or two 4K DisplayPort monitors is possible, as is the connection of USB 3.1 Gen 2 devices. 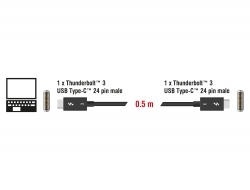 Furthermore the cable enables the power supply of connected devices with up to 100 W.